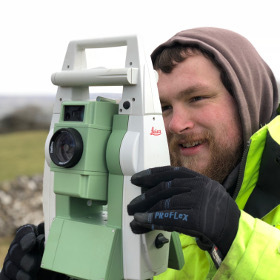 Scott has completed his training and joins the surveying team at TriCAD. Since starting in 2016 Scott enjoys getting around all the different locations the job takes him at 6ft 5in he certainly gets a good view. Handy for surveying those hard to reach areas. A keen IT enthusiast Scott can build PC's and enjoys spending downtime gaming. A cheery person on site and always keen to help.